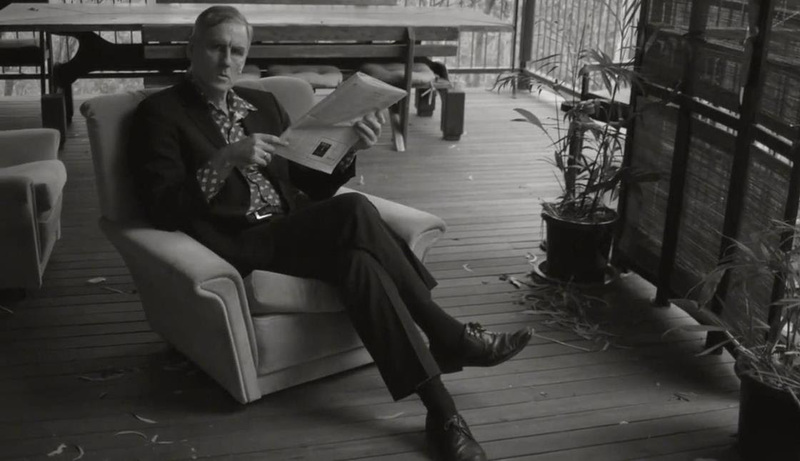 Robert Forster is a crafter of songs in the tradition of Bob Dylan or (closer to home) Paul Kelly. His latest solo offering, Songs to Play, is a collection of nuanced tracks, delivering short stories, character sketches and slices of suburban Australian life. The homespun vein of the piece is enhanced by the presence of Forster’s family: Karin Baumler, whose vocals and violin can be heard on a number of the tracks, and son Louis, who contributes some guitar. It’s also a surprisingly bright and breezy affair from an artist renowned for the bittersweet. But with enough angsty rock songs out there, why shouldn’t Forster use contentment as an inspiration? The sunny disposition is framed by opener, ‘Learn to Burn’, a pacey blues rocker capturing the freedom of the road. This is followed with the bight folk pop of ‘Let Me Imagine You’. There are many sides to this artist. ‘Songwriters on the Run’ shows Forster’s playful sense of humour, as he imagines musicians on a gaol-break with only their songs to aid them. We later glimpse him as husband on ‘And I Knew’; it’s simple love song, enriched by Baumler’s vocals in the coda. There is a pleasing variety of style on the record; ‘I’m So Happy for You’ is a catchy slice of indie pop, while ‘Love Is Where It Is’ is a sultry lounge piece over a Latin beat that again makes a feature of Baumler’s vocals. The music here also has a distinctly Australian favour. However, ‘I Love Myself and I Always Have’ issues a direct challenge to the tall poppy syndrome and Aussie put-down culture. Summing up the optimism of the album, the lyrics are delivered without irony and it does come as a jolt to hear such bold self-confidence through an anitpodean voice. ‘Disaster In Motion’ then rounds out the album in darker style, slowly building over a steady rhythm and bringing things to a close in a Ray Manzarek style organ flourish. Throughout the record there is an economy of production that affords plenty of space, fashioning an air of immediacy and an accessible listening experience. Forster delivers with laconic, workmanlike vocals: Dylan meets Lou Reed, just with an Australian accent. While it may not be to everyone’s liking, it’s the strength of the song-writing that matters here. Songs to Play is released on 18 September from EMI. Posted in Music, Reviews and tagged album, EMI, Robert Forster, Songs to Play. Bookmark the permalink.